Eye care services at the Champions TSO in Houston, TX are offered by our leading eye doctors. With years of experience in diagnosis of eye diseases and their treatment our eye care service is second to none. Our services range from eye exams and contact lens fittings, to laser vision correction and corneal mapping, our Houston optometrists provide comprehensive eye care to patients of all ages. We also treat a range of conditions such as glaucoma, the diabetic eye, dry eye and macular degeneration. 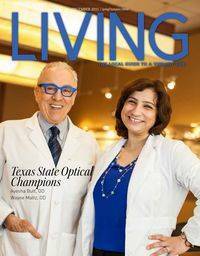 For eye care in Spring, Champion Forest or Houston, call our offices for an appointment. Learn more about what problems can be spotted with an eye exam at our Champions TSO office, what’s involved in a comprehensive exam, and special considerations for kids and contacts. TSO Champions eye doctors treat children of all ages in Houston, TX. Custom kid friendly eye exams, myopia control, & stylish kids frames. TSO Champions's specialized diabetic eye exam detects any diabetes related vision problems minimizing risks to your vision. Schedule today in nearby Houston.